Do you remember Alfresco? 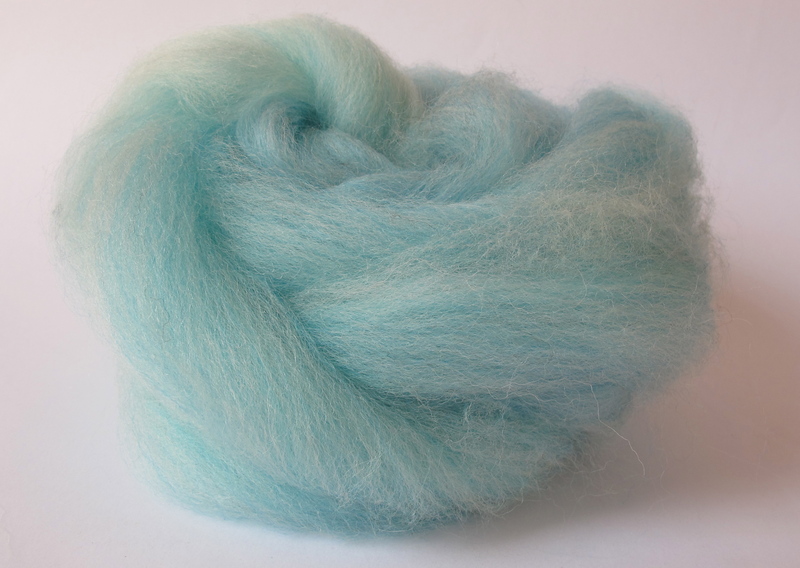 Well, I’ve just finished spinning up 100g of it and though I say so myself, it is totally yummy. 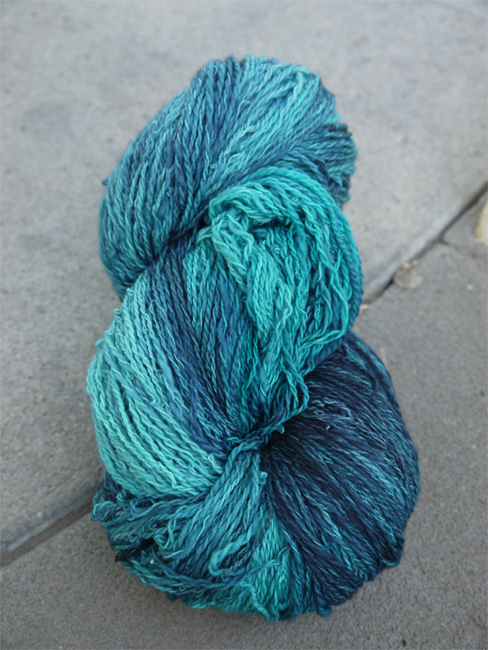 I spun it on my Hansen and then Navajo plied it to get 115 yards. 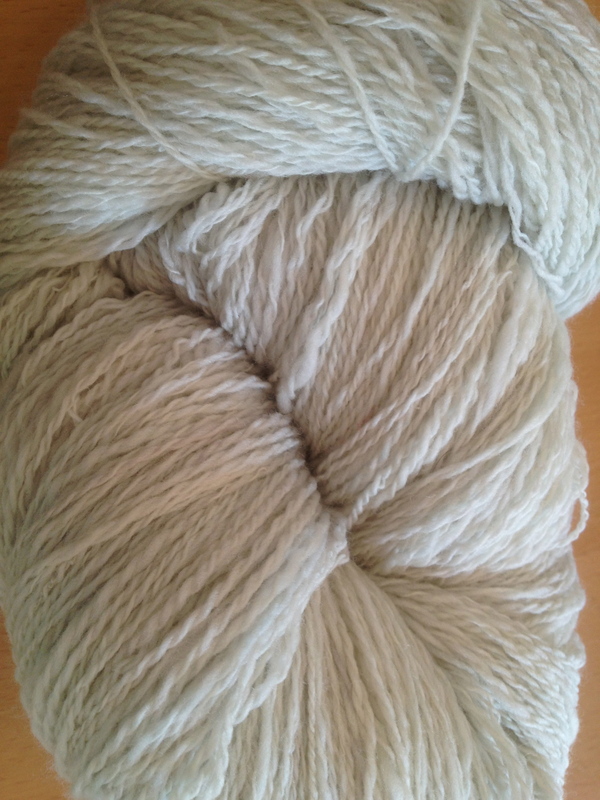 According to my WPI gauge it’s somewhere between an aran weight and bulky yarn. There are subtle changes in tone throughout that my photography skills haven’t done justice to at all. It’s also very squooshy which you can’t tell either. At the moment I am really loving blocks of coloured yarn knitted with blocks of natural sheepy yarn and that’s what I have in mind for this yarn. But as you all know I’m as fickle as the wind so that could all change. I haven’t got a pattern in mind as yet. 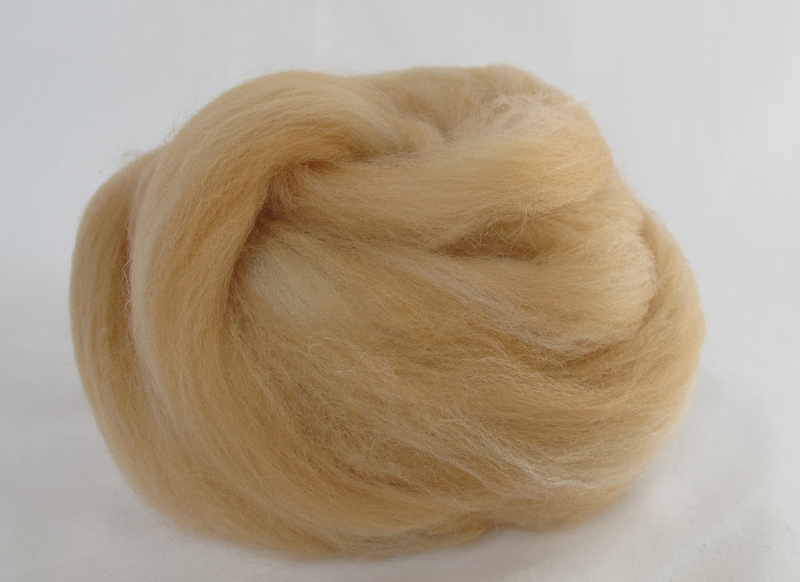 I love blending wool on my hackles but it does come with a downside. That’s all the waste from just the Alfresco! So now I have 3 bags full of blending waste. 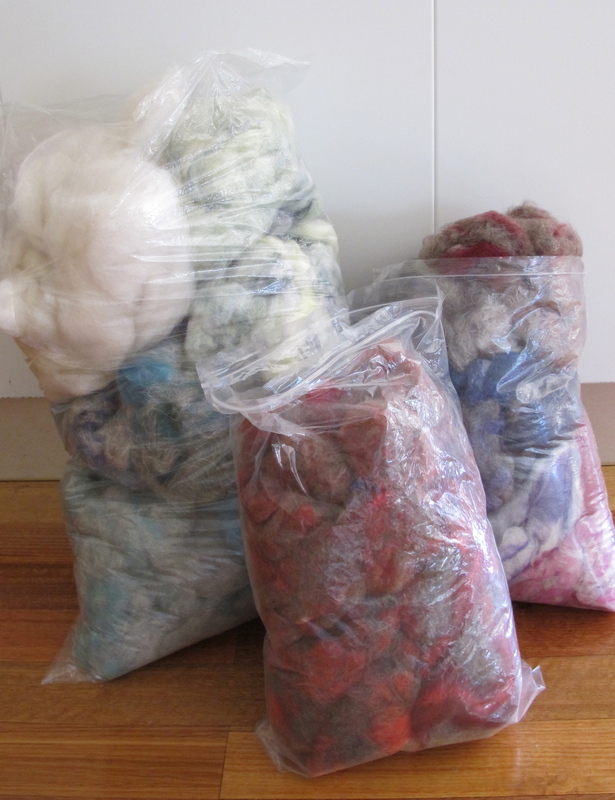 I was wondering if there was anyone out there who could make use of nearly 1.8 kgs of fluff for free. Obviously postage would have to be paid for by the recipient. 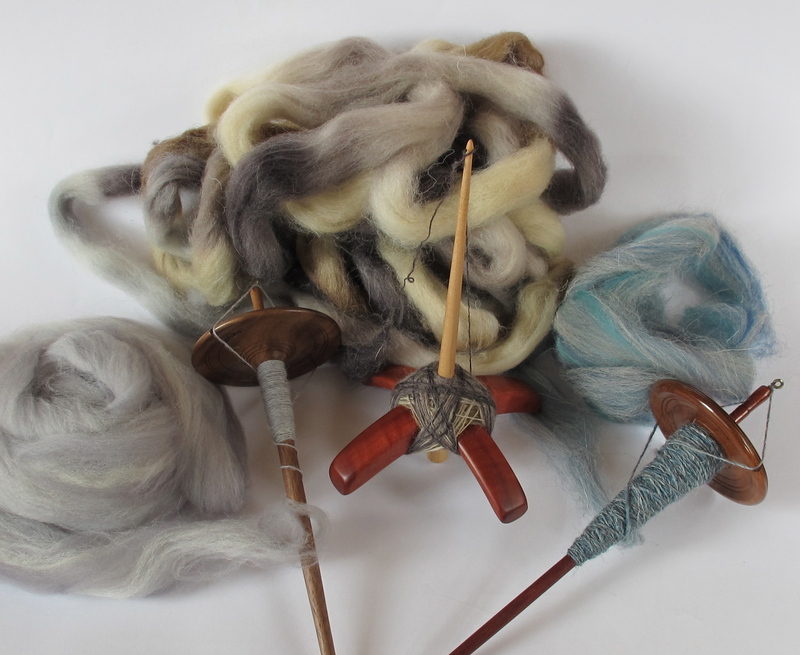 As I do blend with felt resistant wools such as Southdown and Dorset Horn not all of it is felt able . 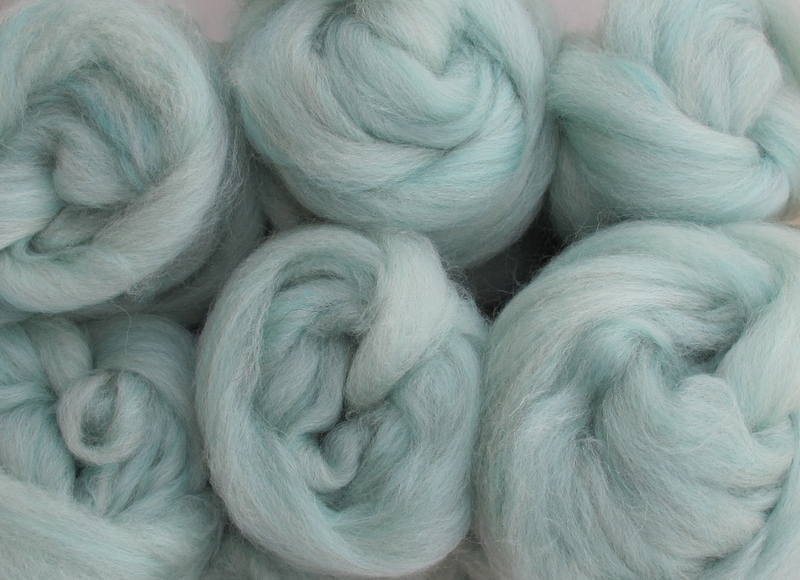 I created a delicious double blended colour way for my Etsy store that makes me think of alfresco lunches with friends. It’s called, Alfresco! Ha, fancy that! Alfresco on the hackles 2nd blending. 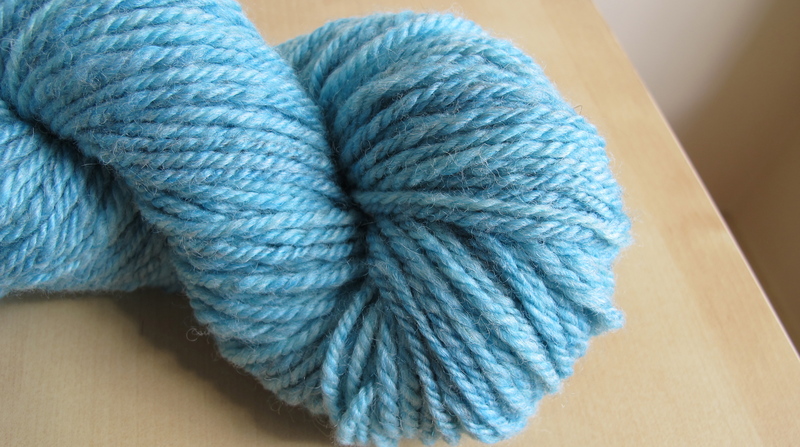 I spun up a sample because I needed to see it in the yarn so to speak. Obviously I’ve kept some back for myself. I’m not totally selfless! 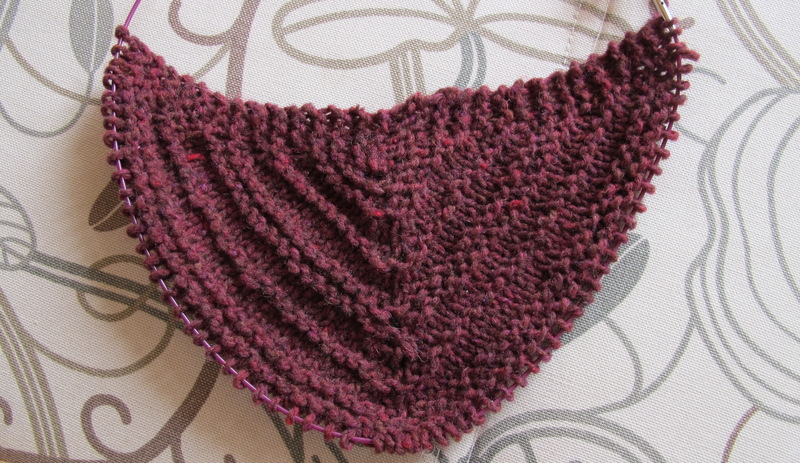 I see it as a shawl but then all I want to knit at the moment is shawls. 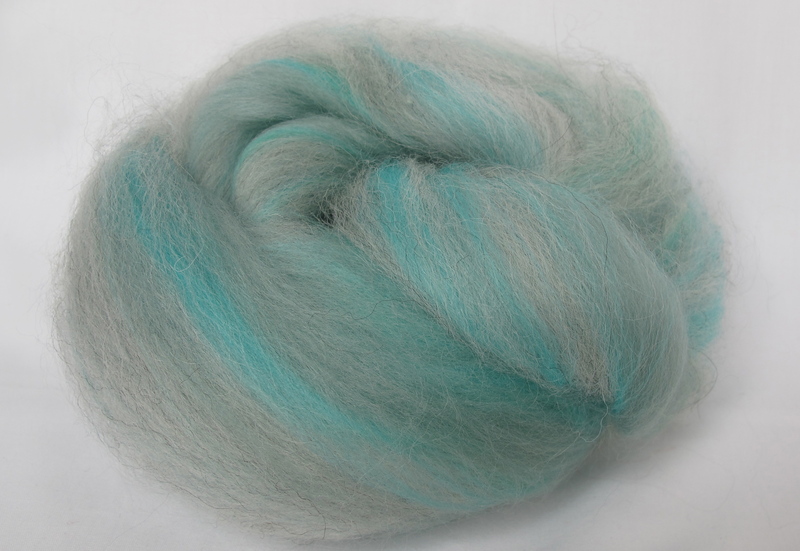 Oh, it’s a blend of BFL, English 56’s, Merino and a bit of Bamboo. There are only 2 x 130g boxes for sale for now so better be quick! 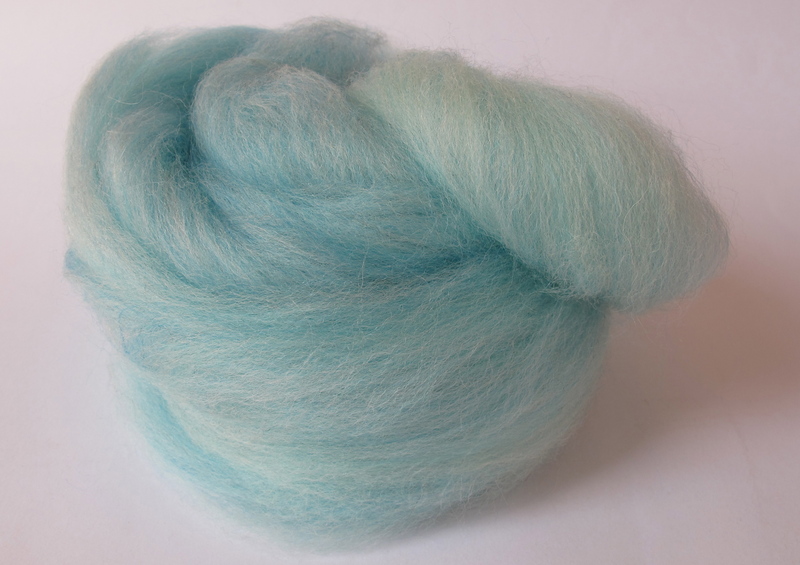 top or roving, what’s the difference? I thought I’d take a little time to explain the terminology because these two terms are frequently confused. 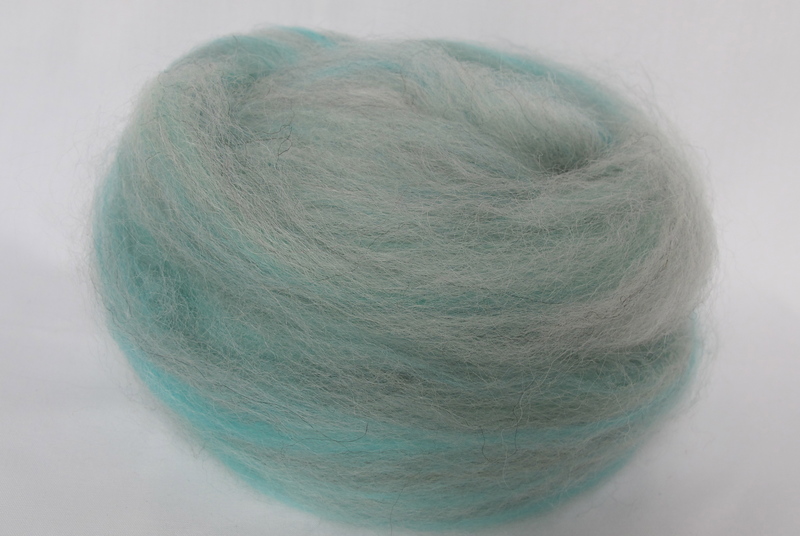 Simply put, top is combed fibre that is either commercially combed or hand combed so that all of the fibres are aligned and the shorter fibres are removed. 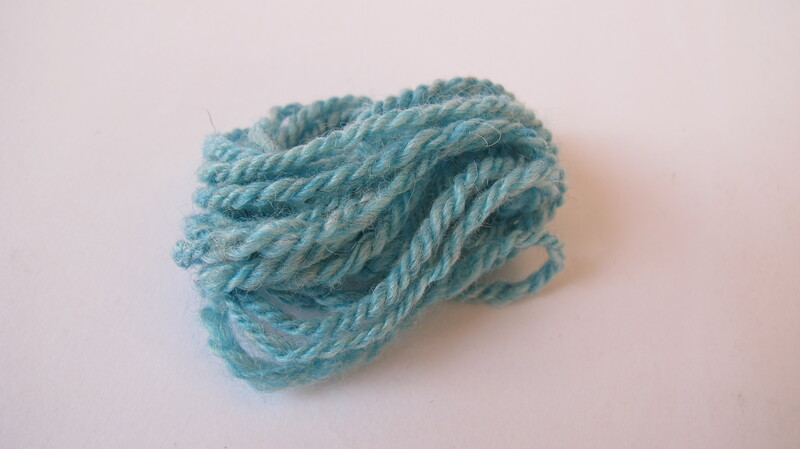 Top can then be spun using short draw which maintains the parallel fibre alignment to create a worsted spun yarn. 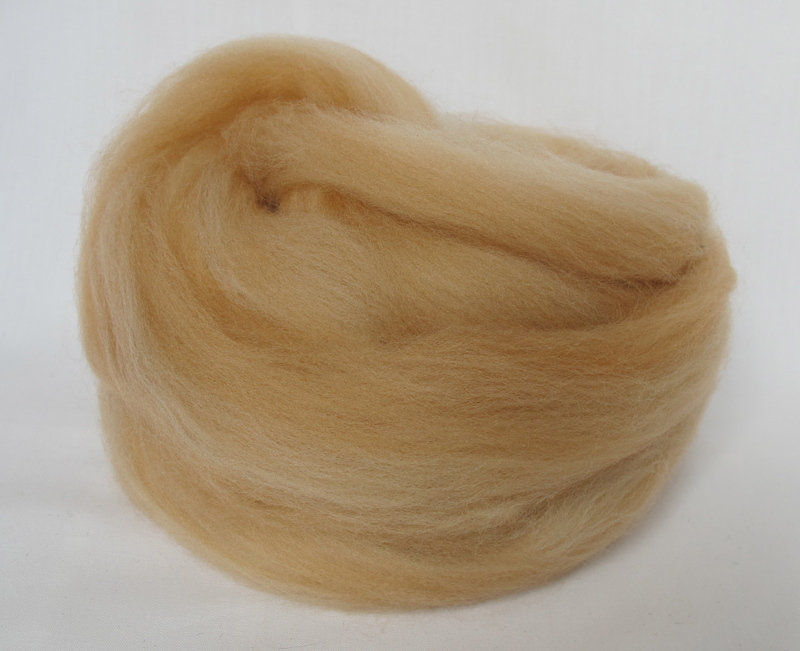 Roving is carded fibre which can contain both short and long fibres. The fibres are not aligned parallel to each other. 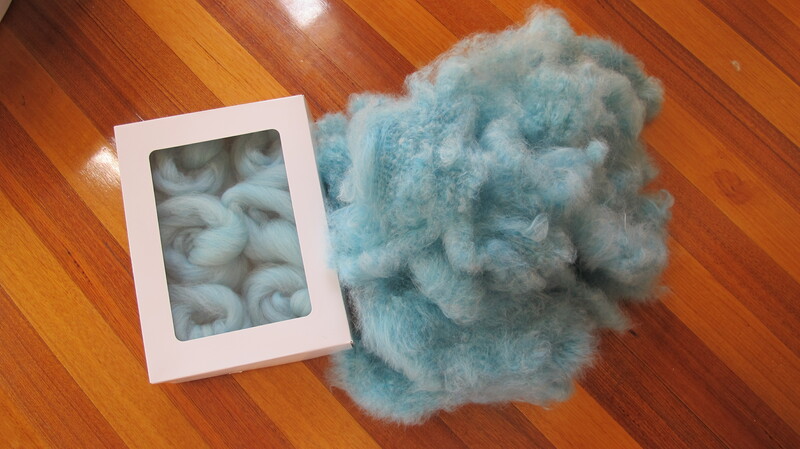 Roving can then be used to create a woollen spun yarn when spun with a woollen spinning technique. 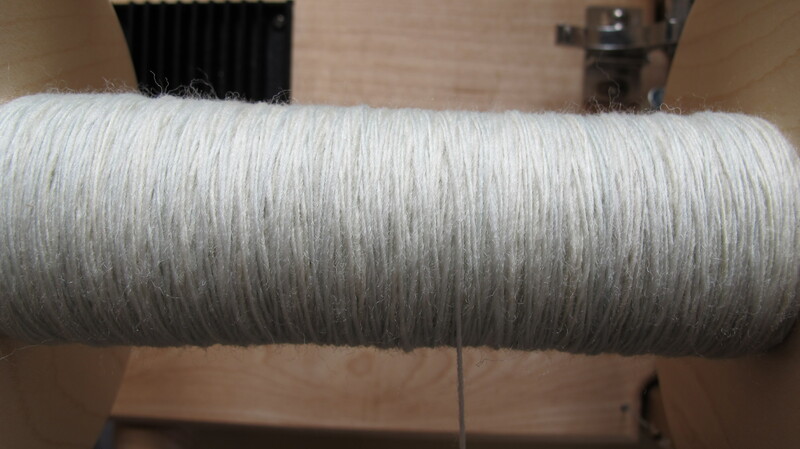 My preference tends to be a worsted yarn because it has more strength and drape than the woollen yarns but it is a personal preference. 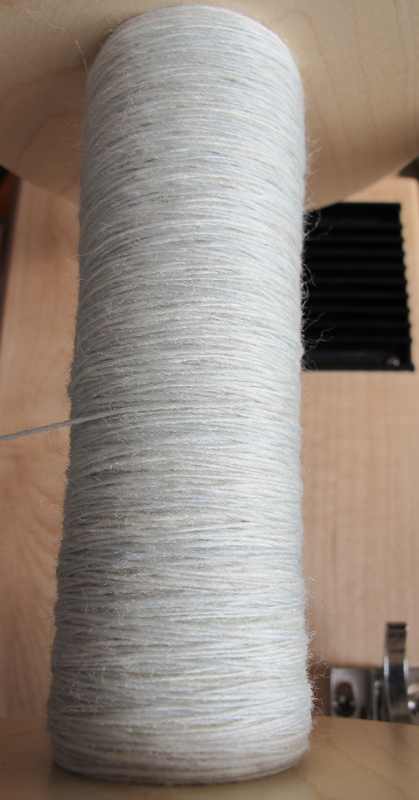 The benefit I find, to hand combed top is that the top is less compacted which makes drafting easier and prevents your hands from hurting after a long period of spinning. 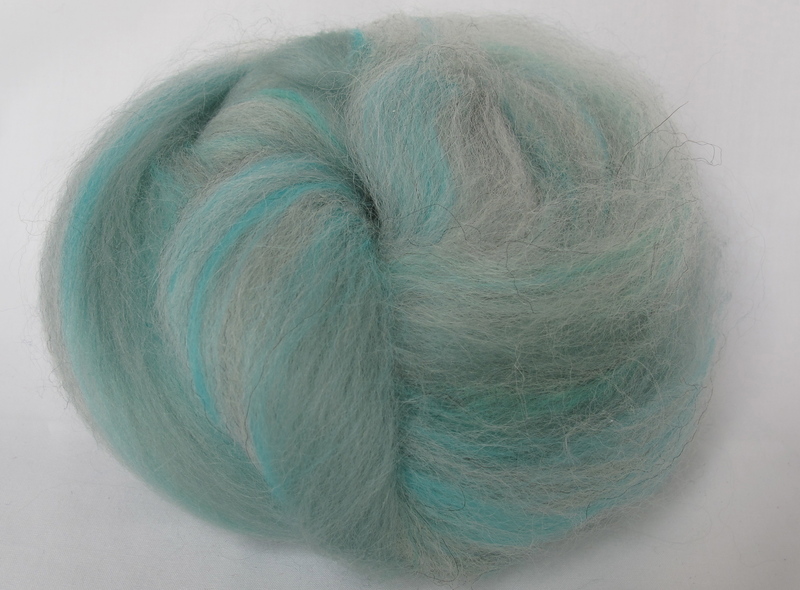 I add this because myself and several spinners I know have said how their hands get sore sometimes when spinning with a compacted or felted top. 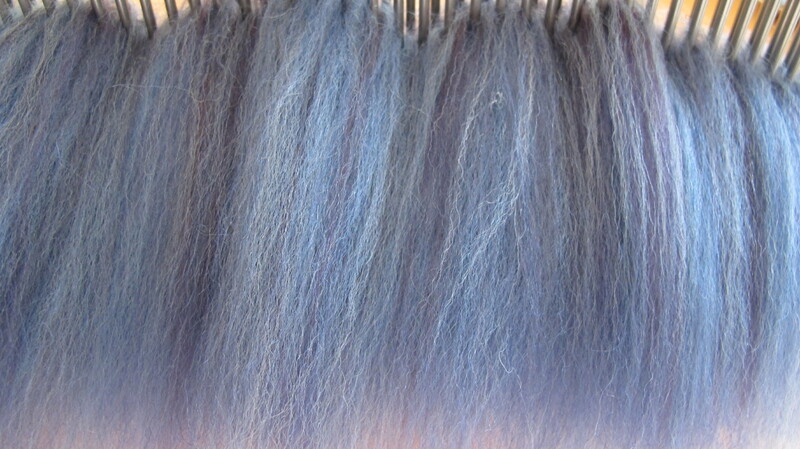 Hand combed top also produces a much less dense, more airy and elastic yarn. I always try to follow advice given to me by wise, knowledgeable people and a comment by Jules on my last post about making more for myself really hit the mark. So much so, that I immediately set to work. 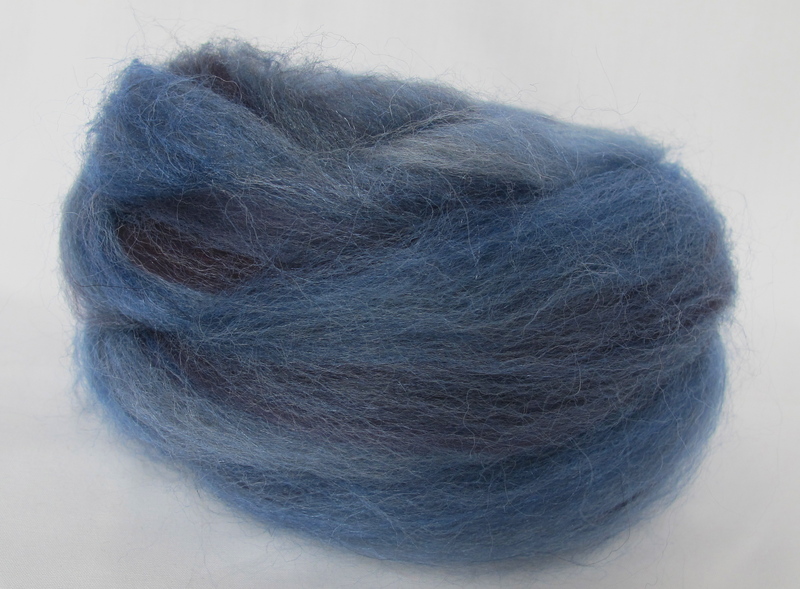 I took a custom blend I’d had made by World of Wool which was a bit insipid as I hadn’t put enough colour in it and I added three more shades of dyed merino to it. 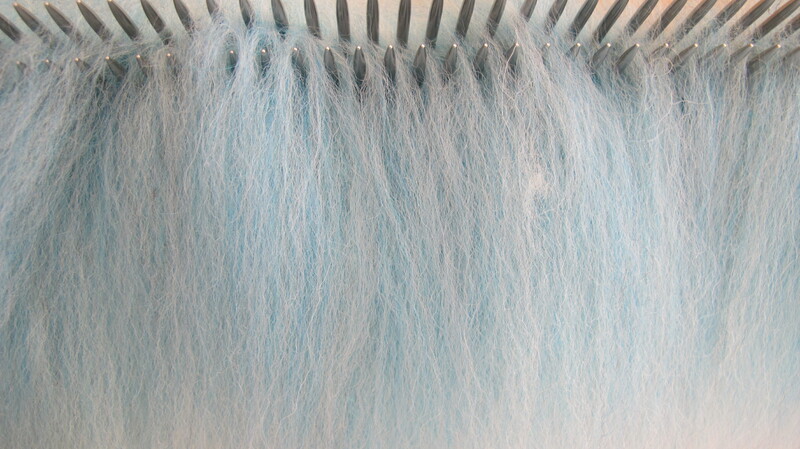 Then I put it through the hackles twice to make delicious clouds of duck egg fluff.